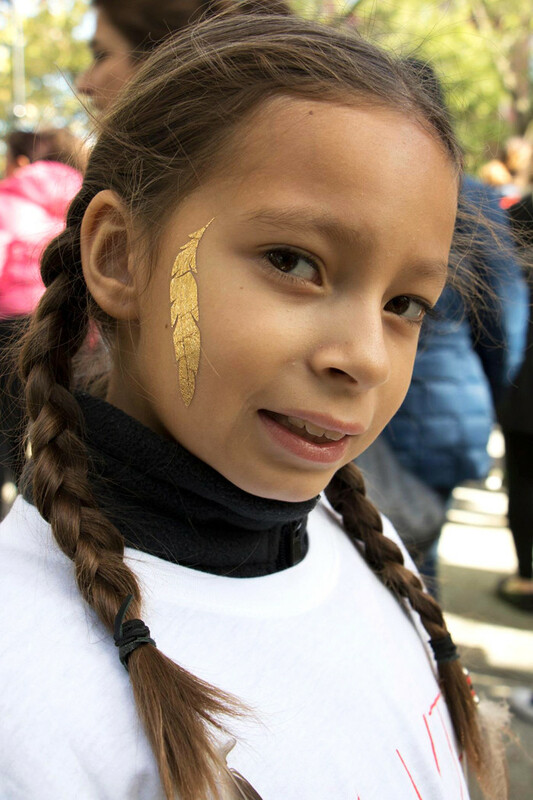 More than 500 people attended the 10th annual March and Vigil for Missing and Murdered Native Women that started at Cabot Square on Sunday afternoon. More than 100 vigils were registered across Canada for Sunday to commemorate the Aboriginal women who have been murdered or gone missing since 1980, according to the Native Women of Canada’s website. 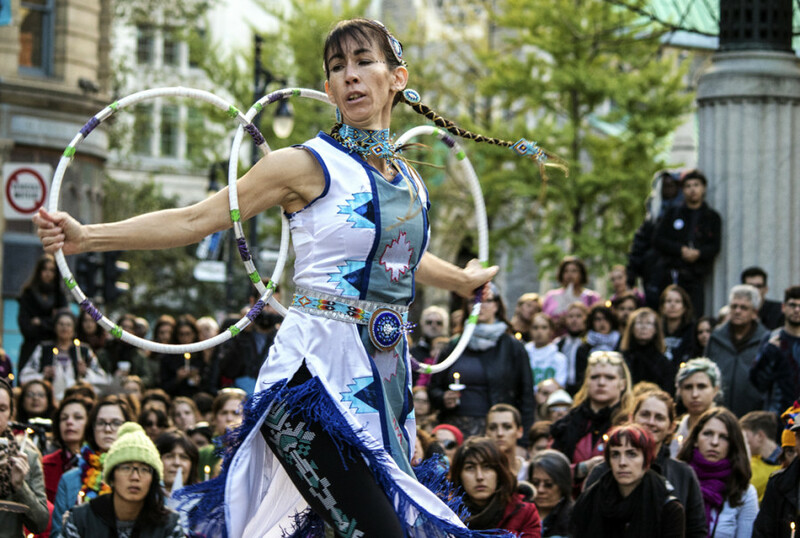 The Montreal vigil organizers—Quebec Native Women (QNW), the Centre for Gender Advocacy and Missing Justice—vocally denounced the fact that there has yet to be a formal nationwide, federal inquiry into the cases of these missing and murdered Aboriginal women. The theme of this year’s march was justice, they said. Nakuset, director of the Montreal Native Women’s Shelter and co-chair of the Montreal Urban Aboriginal Strategy Network (NETWORK), says a recently signed protocol plan aiming to build better relationships between Aboriginal people and police can help make solving cases of missing people easier. This plan involves introducing three parts: a prevention program, an awareness and sensitization guide that would be mandatory for all SPVM officers in the city, as well as an Aboriginal liaison officer that would work as an intermediary between the families of missing Aboriginal persons and the SPVM. After the opening speeches, the march started on Ste. Catherine St. until it reached Phillips Square, where the vigil began with people lighting candles to honour the women who have been lost this past year. The vigil also included performances by Buffalo Hat Singers, MJ Tremblay and other First Nations artists. According to an RCMP report released earlier this year, approximately 1,200 Aboriginal women have gone missing or were murdered in Canada from 1980 to 2012—204 of those cases remain unsolved. According to Lucy Anacleto, promotions and publicity coordinator for the Centre for Gender Advocacy, activists estimate it to now be closer to 3,000 cases. The justice coordinator at QNW is currently working on its own report on missing and murdered women in Quebec, as the RCMP report does not reflect the reality of women in the province, Fontaine says. Stephen Harper told CBC in December 2014 a formal inquiry into the issue “isn’t really high on our radar,” although the Conservatives’ 2014 Economic Action Plan included a five-year $25 million investment in order to stop violence against Aboriginal women and girls beginning in the 2015-2016 fiscal year. For many of the vigil’s organizers, not enough has been done. They say violence against Aboriginal women is systemic and creates a cycle of trauma within the community. Fontaine, who led the march and vigil with Chantel Henderson, says that the upcoming election provides positive visibility to the cause. Stephen Harper and Bloc Québécois leader Gilles Duceppe remain the only main candidates to not have emphasized the need for a formal inquiry on the issue of missing and murdered Aboriginal women in their respective platforms. 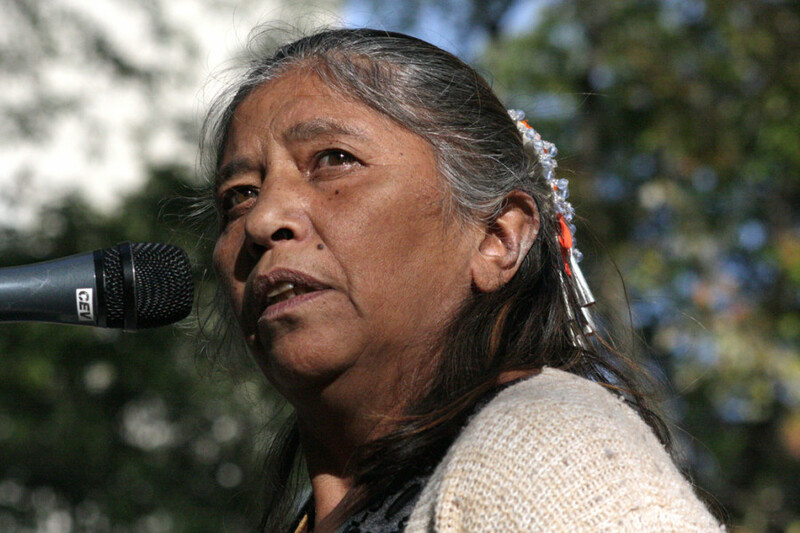 Mohawk activist Ellen Gabriel was vocal about the political negligence towards the issue and the need for non-Aboriginal Canadians to prioritize Aboriginal rights. During the end process of the Truth and Reconciliation Commission—which was designed to educate the Canadian government and its public on the harmful lasting effects of Indian Residential Schools—Justice Murray Sinclair called for federal inquiry into the crisis. Amid a standing ovation, the Conservative Aboriginal Affairs Minister Bernard Valcourt remained seated, refusing to honour the missing and murdered indigenous girls and women. “That just shows the depth of the cruelty and negligence going on in the government right now. That meant he kind of had to go out of his way to show how little he cared about this issue,” Anacleto said. According to the RCMP report, for most of the murdered Aboriginal women cases they solved, they discovered that a perpetrator known to the victim committed the act—similar to other female homicides. Anacleto says the RCMP’s approach to investigating the cases of missing and murdered Aboriginal women is problematic in that they assume perpetrators are known by the victims, thus ignoring external violence from outside First Nation communities against Aboriginal women. 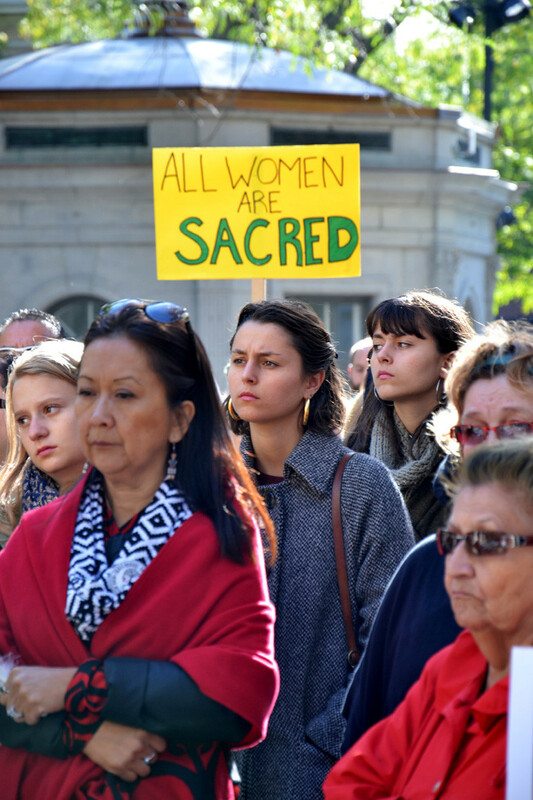 The report states that violence against Aboriginal women is the responsibility of all citizens—law enforcement, government and social services.